While Audi and BMW are pondering how to expand their presences in the upper-luxury segment, Mercedes-Benz doesn't need to waste a thought: it’s already there and always has been. For as long as there have been opulent S-classes, there’ve been S-class coupes, even if they may have been called by different names. The passing of the CL63 AMG won’t be mourned by many, largely because this new S63 AMG 4MATIC coupe is a logical continuation and expansion of a long and venerable tradition of excess that streamlines Benz’s upper-crust portfolio—both in nomenclature and in design. The S63 coupe is lighter than the CL63, thanks to a steel-aluminum hybrid body, a lithium-ion battery, a lightweight braking system, and especially light wheels. It features an all-wheel-drive system that pushes two thirds of available thrust to the rear wheels. And thanks to the awesome M157 5.5-liter twin-turbo V-8, there’s plenty of thrust to be had. To be exact, 577 horsepower at 5500 rpm and 664 lb-ft of torque from 2250 rpm. Shifting duties are handled by a seven-speed automatic that Benz refers to as “Speedshift.” Mercedes says that the run from zero to 60 mph takes a mere 3.9 seconds, and top speed is governed at a lofty 186 mph. While the S63 coupe can be ordered with rear-wheel drive in Europe, the all-wheel-drive system is mandatory in the U.S. And that’s probably a good thing, because from our experience in a Euro-spec four-door S63, the stability control system needed to work overtime when the power is fed exclusively to the rear wheels. Fret not, well-heeled enthusiasts, you’ll still be able to cook serious rubber in the corners. Expensive rubber, at that: 255/40R-20 up front and 285/35R-20 in the rear, to be precise. Compared to the standard S-class coupe, the steering has been recalibrated to be slightly heavier and the suspension has been stiffened. Carbon-ceramic brakes are available, as is a head-up display. Atop all of this go-fast wizardry rests a body shell that is nothing short of stunning. Mercedes-Benz chief designer Gorden Wagener has been the subject of much criticism for the brand’s shift in design language throughout the past 18 months, but the S-class coupe appears to be his ultimate triumph thus far. We’re eagerly awaiting getting a glimpse of the S63 AMG 4MATIC coupe when it bows at the New York auto show next month, but we’re ever more enthused to get behind the wheel of this hottest new two-door S-class when it goes on sale in the fall. 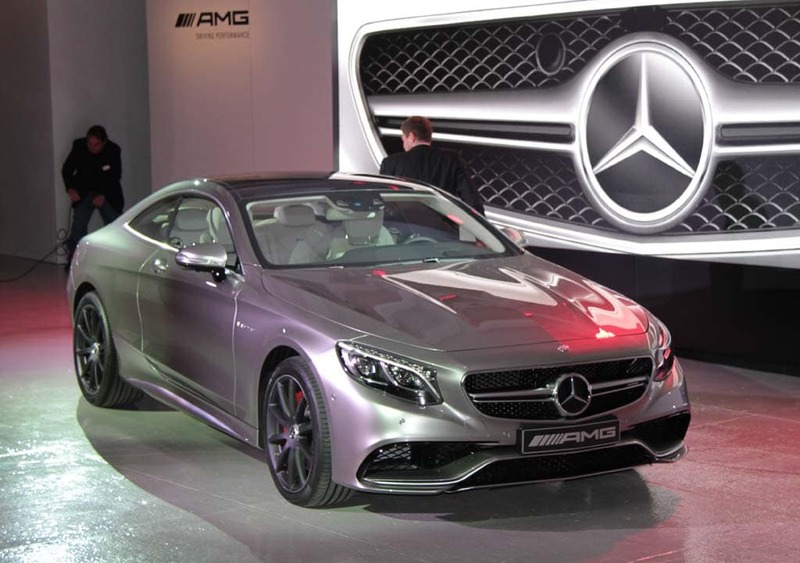 Oh, and to the gang in Affalterbach, you’ll have the S65 coupe for us soon, right?